In 2012, Josh and Becky Kirk were wondering what their future held after Josh fell 28 feet from a tree and was left unable to work in his field of construction. Becky had just quit her teaching job to be home to raise their two small girls and Josh was determined to do something to allow her to stay home with their children. Josh, loving ice cream and really all things related to food, began to research. Opening his own ice cream shop soon became a dream that was very quickly made into a reality. 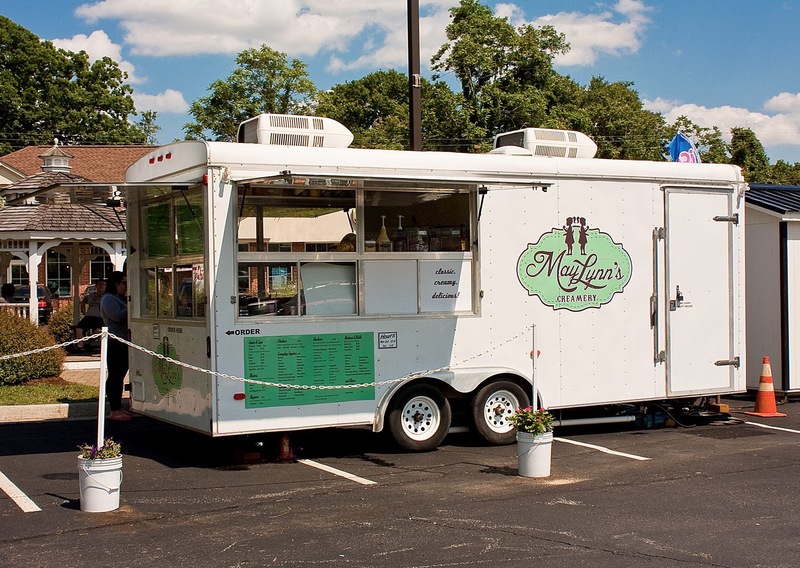 After securing down the perfect location and equipment, MayLynn’s little trailer opened in Boonsboro in June of 2013, and quickly became a local hangout spot in the community. 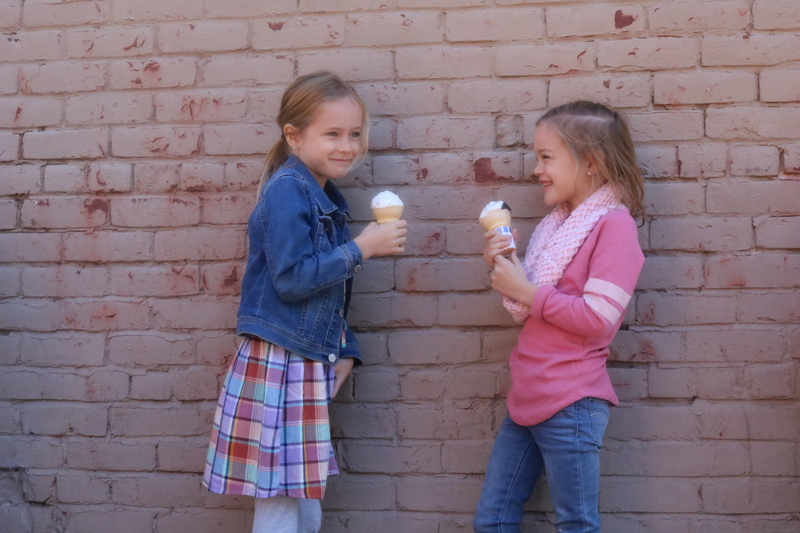 The shop, MayLynn’s, is named after Josh and Becky’s two girls, Kylie May and Kinley Lynn, who are also represented in their logo, as they were the always inspiration in having a family owned business. In the years that followed, MayLynn’s became a favorite in the community and even traveled to events throughout the Lynchburg area. However, Josh was always thinking bigger. In 2017, the opportunity to snag a desired location in downtown Lynchburg presented itself and Josh jumped at that opportunity. 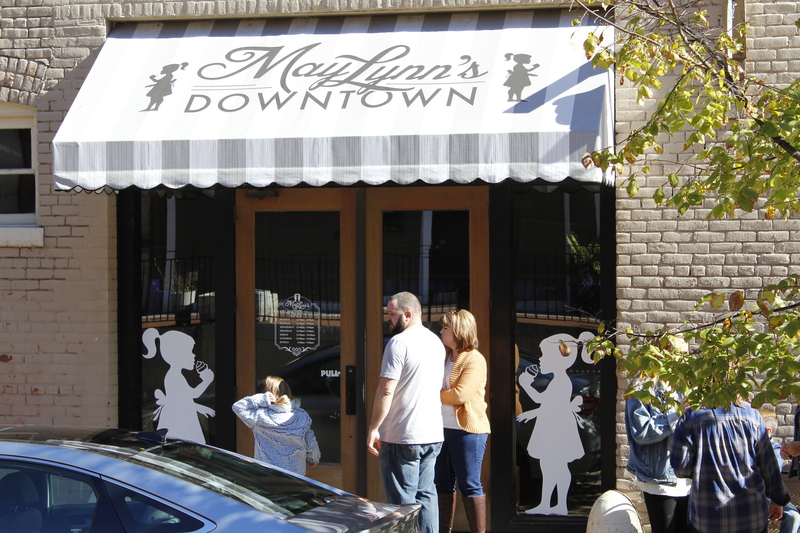 MayLynn’s Downtown opened in March of 2018 and is now a hoppin’ little ice cream shop on Jefferson Street downtown! The shop downtown offers much more variety than the soft serve trailer. However, the trailer still remains in Boonsoboro! With two locations, the Kirks are very busy! 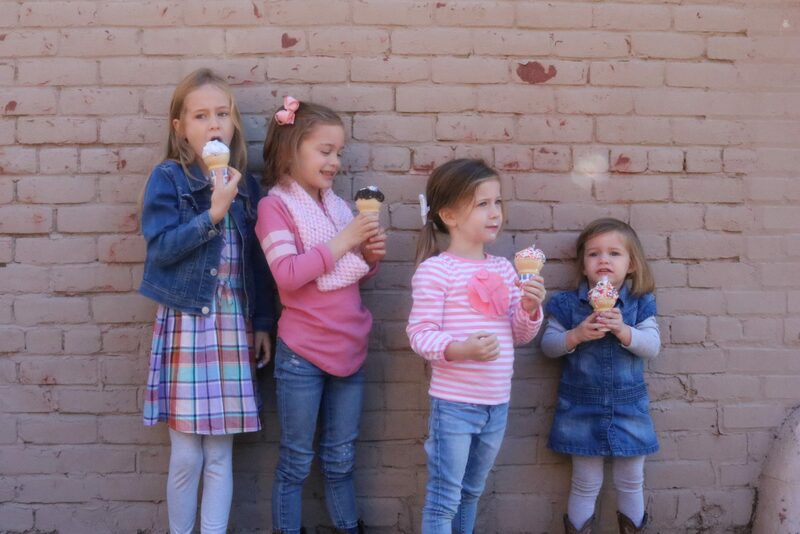 They now have four little girls who are often seen at both locations enjoying Daddy’s ice cream. MayLynn’s takes pride in going the extra step to make their soft serve the best tasting in the area. 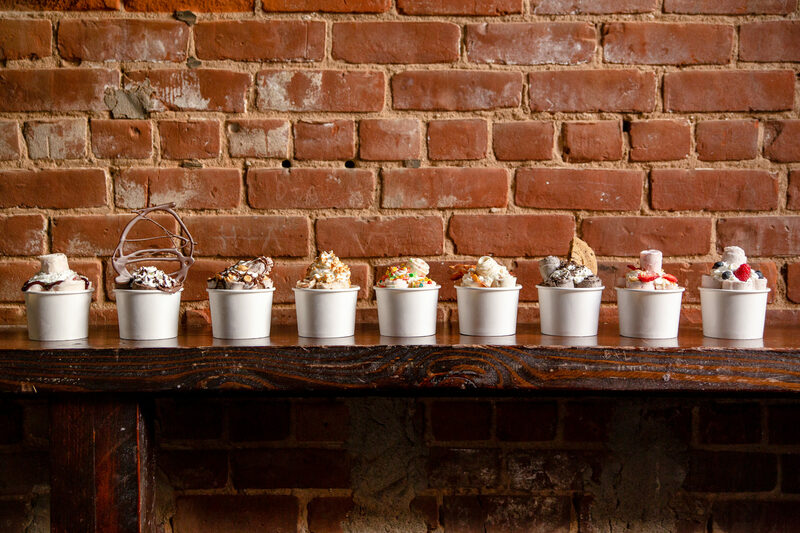 They have partnered with Sluggo’s Sundae Drive to also offer local hand dipped ice cream at their downtown location, and with the extra space downtown they are Lynchburg’s spot for rolled ice cream, bubble waffles and more!